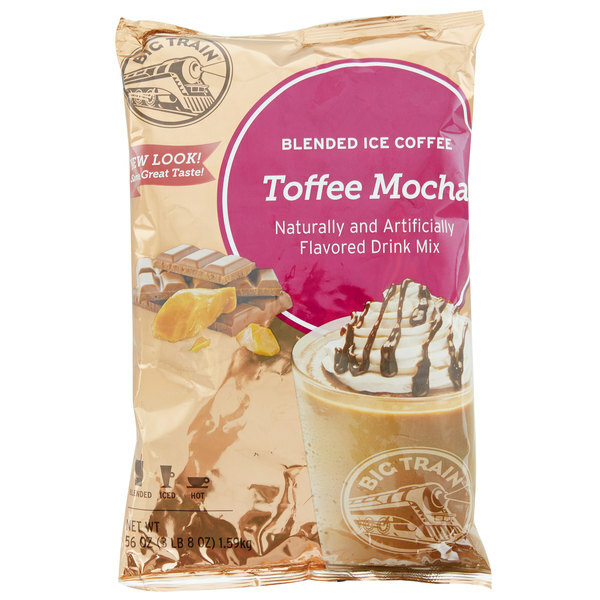 Offer irresistible flavor in your coffee beverages with this Big Train toffee mocha blended ice coffee mix! With a name symbolizing strength and constant motion, Big Train has expanded into a global foodservice brand you can trust with a large number of diverse products to choose from. Big Train has become a leader in the specialty beverage mix industry, delivering easy-to-make and consistently-delicious products. Made with toffee and smooth Arabica coffee, this drink mix allows you to serve up drinks that taste just like a caffeinated toffee candy bar! 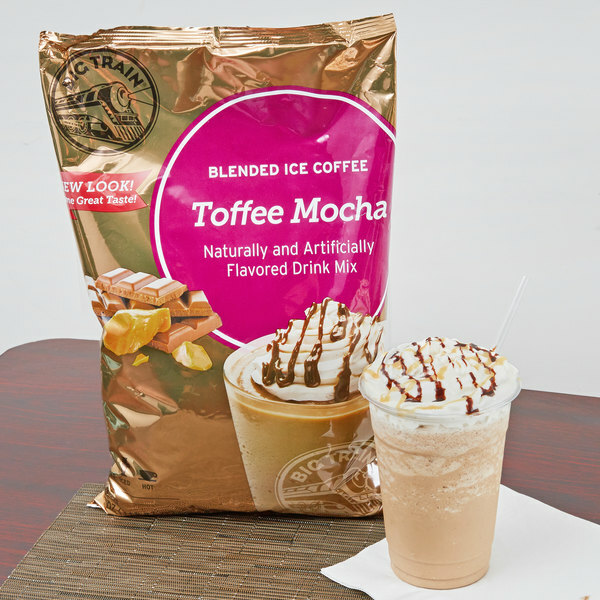 The popular toffee and mocha flavors blended in this drink mix are soon to become a favorite choice among your specialty coffee selection. Your patrons will also love that this drink mix is gluten free, trans fat free, and contains no hydrogenated oils. Use this mix to give your guests an energizing caffeine boost with signature coffee drinks that can be served hot, iced, or blended! This flavor is so good! if you prefer your coffee to be a little sweet then this flavor is perfect for you. its got a really nice buttery taste as well because of the toffee. This flavor has been a hit! We give a four star only because the name is a bit misleading, we would call this chocolate toffee. Most customers couldn't taste a coffee flavor at all, which was great for our non coffee drinkers but not for those looking for a stronger coffee experience. Love toffee and this is a popular flavor here in NY. all the big train flavors are creamy and full of flavor. just enough coffee NOT to give you the jitters. A really sweet and buttery treat that makes a great style coffee drink. 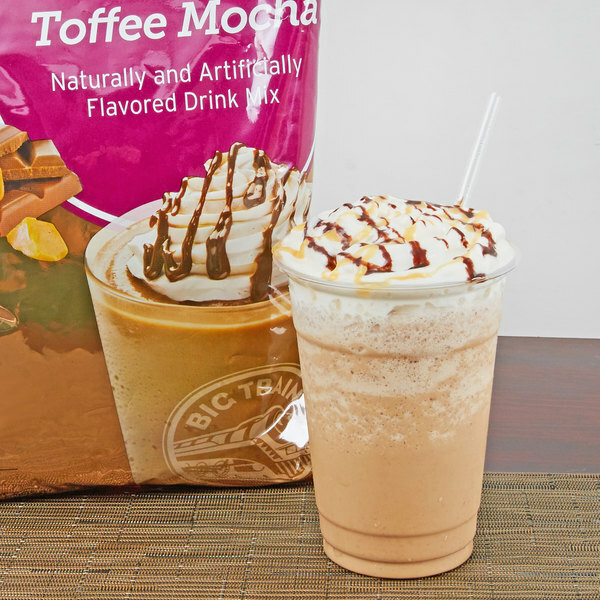 The toffee mocha is wonderful and is a true dessert style drink mix.